Back again with my latest update, and what a week it’s been! 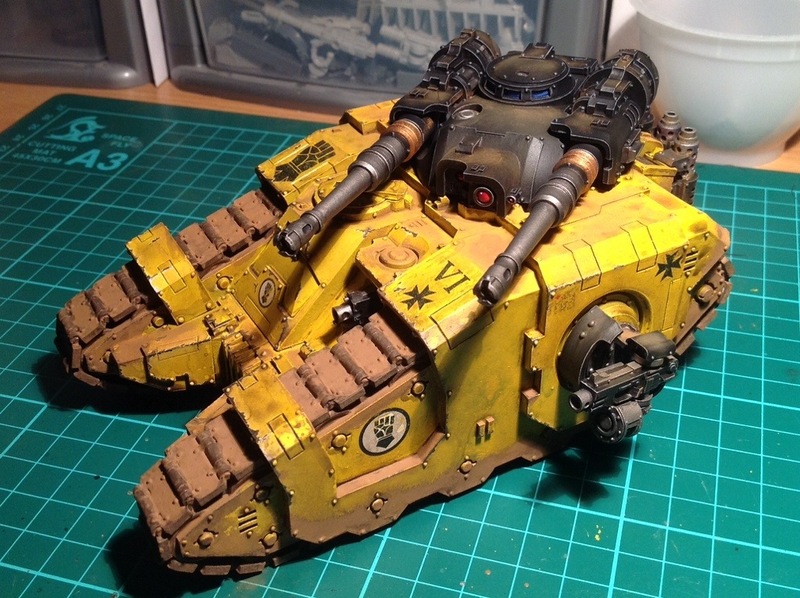 Started off really well with plenty of time at the weekend to prepare the Sicaran. 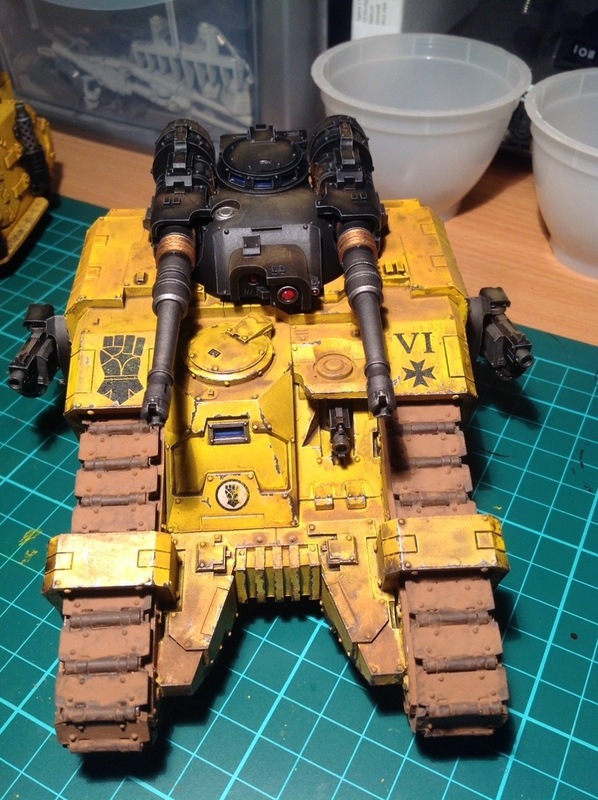 I got the turret and sponsons fully painted whilst laying down two coats of yellow on the hull. 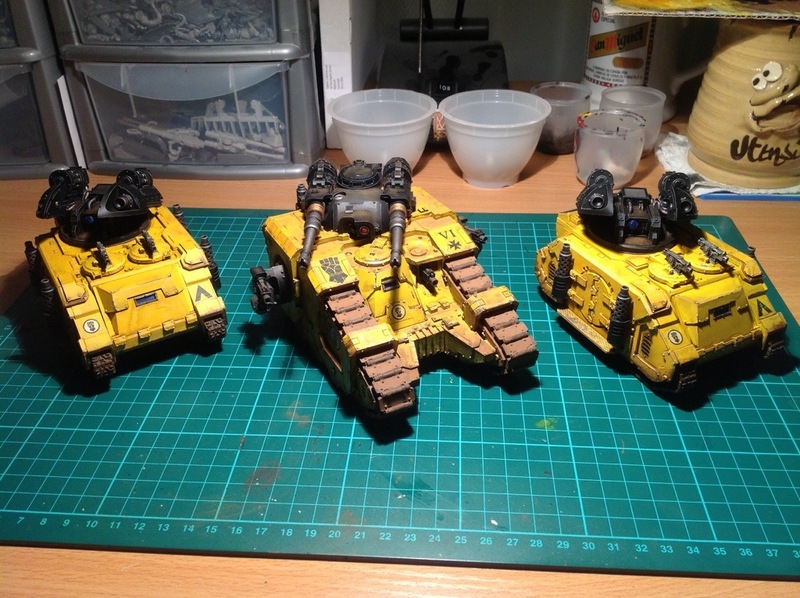 I spent 4 hours painting battle damage on Sunday night, and before I went to bed, applied the final wash coat. Woke up the later that morning to a disaster! The wash had dried with a mottled effect and in some places had not covered at all. I was gutted. So much so I couldn’t even look at it until the next day. After frantic texts to friends, I got took up my brush and I’ve managed to save it. It’s still got issues, but as far as I’m concerned, it’s finished. 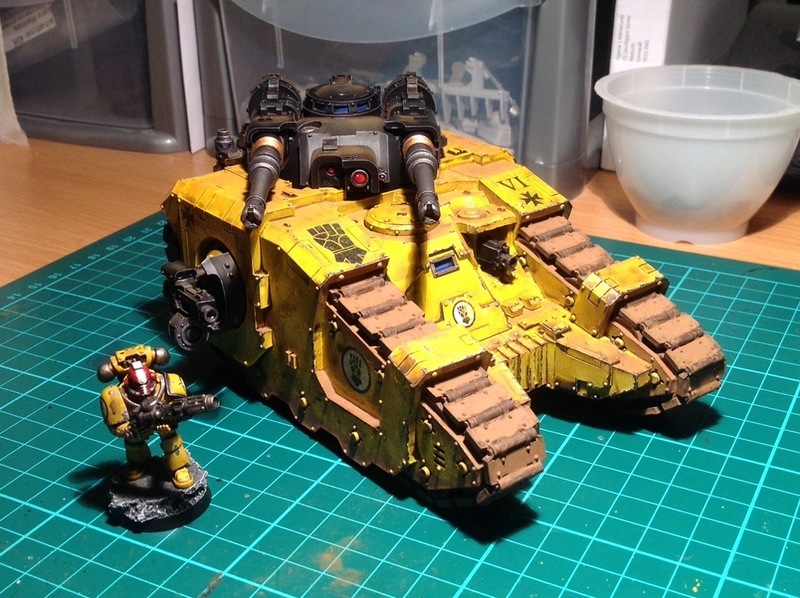 So, here’s a shot alongside the two Whirlwind Scorpius I finished last week. A view of one of the Whirlwind Scorpius. And here’s a couple more of the rescued Sicaran! So, it’s been a painful grind to reach this point. Setting myself up to paint a new 1500pt army in 3 month wasn’t such a good idea! Throne of Skulls is only two days away, and after that I’m taking a slower approach to my painting workload. Still hoping to churn through the models, just without the tight schedule. Hope to update with some photos from Throne of Skulls next week. Thanks again everyone, see you next time! Previous Previous post: I live to serve. 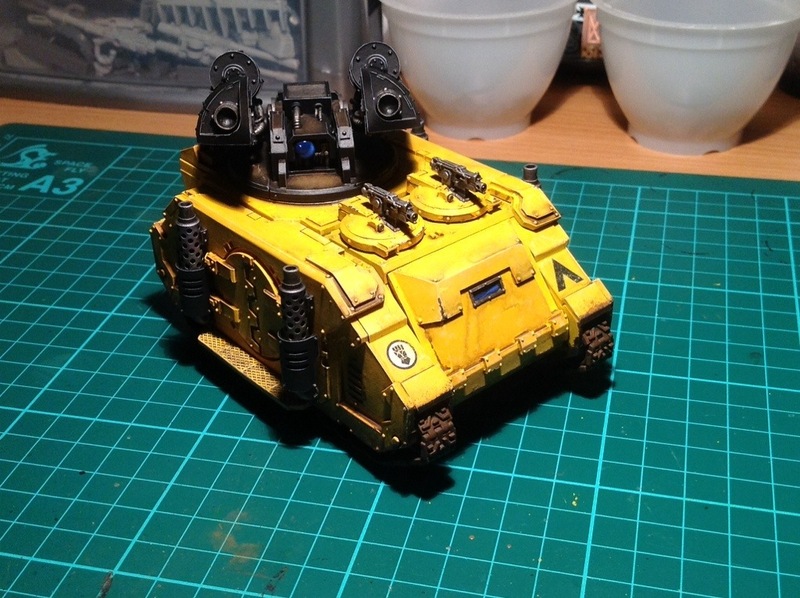 Next Next post: The Spartan Assault Tank.